The beauty of triennials is the influx of international contemporary art, curators and critics to a city. However the risk is the ability of this influx to translate ideas and often pre-existing work in a new country. Every landscape possesses a different social and political situation, shifting pre-existing semiotics. 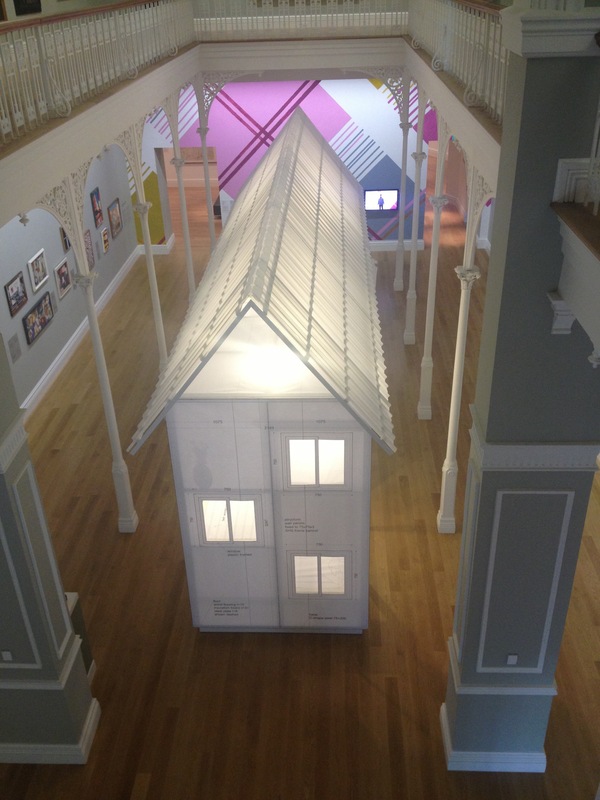 Having to deal with kiwi social constructs completely opposing those of Shanghai is something Michael Lin’s Triennial work ‘Model Home’ at the Auckland Art Gallery has to confront. The work very explicitly talks about the nature of the Chinese labour force. Perhaps about both the invisible structures and the unseen people constructing them. By the construction workers sleeping in the house during construction, the original also dealt with the social situation of these migrant workers squatting in these spaces. Thus making the experience of installation in fact the work. When bringing an intricate and multifaceted project such as Model Home over to New Zealand, it requires the artist to make some decisions. The biggest decision is prioritising what the works new function will be in the new space. Do you want to comment on the same social structures? If so then how do you remake the work to fit within these new structures, with out loosing too much of the original qualities and with out entering too many unwanted conversations. Or the other option, to merely present a reinstall or type of documentation of the original work in a new space, perhaps the easiest of the two. 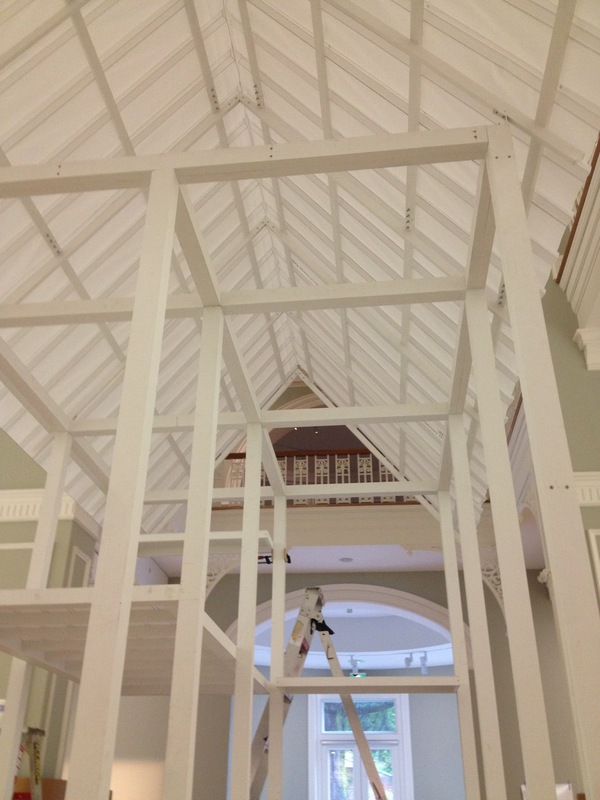 The Auckland Art Gallery installation at first glance appears as an install of documentation. The recent architecture graduates who constructed the life sized marquette, made a guide, swapping the steel for timber and walls for paper. It comes full with outlined bbq, windows and a very kiwi table of fish and chips and tomato sauce in a tomato bottle. While the house is very clearly a guide and even humorous sample of the original, the painted wall seems stuck between being documentary and attempting to deal with something real. The original was painted by untrained construction workers introducing collaborative narratives. You would assume that just as the house is a model of the original the wall too would only be a demonstration. 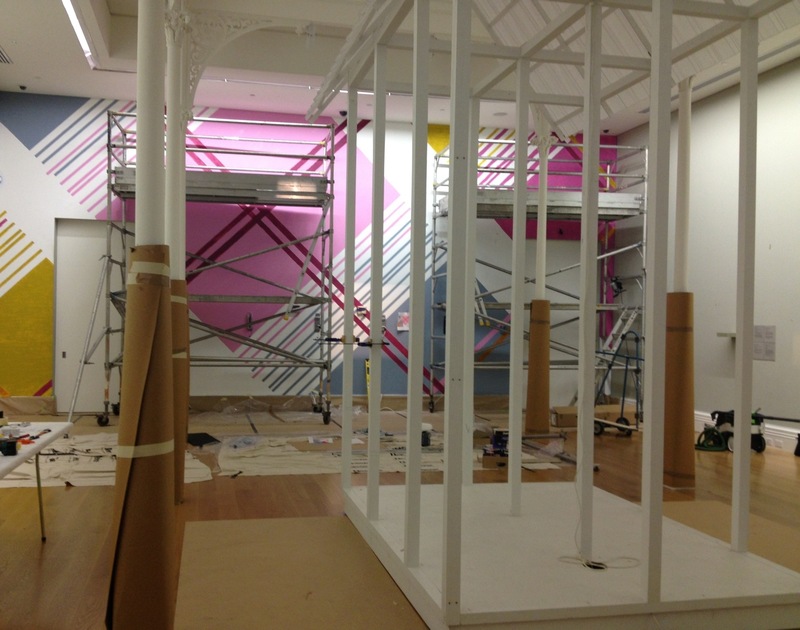 However, the Auckland Art Gallery wall too was painted by untrained construction workers. Not just any workers but workers employed through a Ngati Whatua work placement programme. So while these young cats thought they were gaining work experience, in fact they were playing the patronising role of the ‘untrained’. Entering the work into the complicated colonial and racial narratives of New Zealand. Maybe Lin’s trying to work out what if he really lived here. It’s a bit awkward really. I don’t know that we can blame Lin for this cultural blunder or should we. Or is it the curators fault? Or does this work attempt to deal with something and fall short just as the relational argument? Whatever it is, it’s just a bit strange with a hint of patronising. Nice.